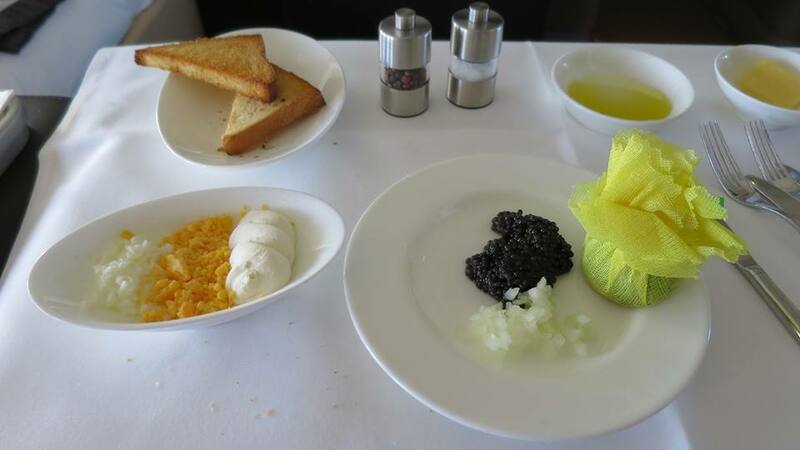 Lufthansa First Class is well know among the miles and points crowd as one of the best first class experiences available, especially if your pair it with the First Class Terminal experience when you fly out of Frankfurt. For most of us based in North America, the best way to book this is with United Mileage Plus miles. I was able to book this before the upcoming United devaluation. Flying from Frankfurt, the Lufthansa First Class exprience starts with the amazing First Class Terminal. It is a dedicated building just to the northwest of Terminal 1. If you arrive on a connecting flight, exit Terminal one, turn left walk along until you see a staging area for taxis. The FCT should be just past it. If you arrive by foot, this is the ground floor entrance you will see. Enter, and take the elevator to the left to the 1st floor (2nd for us North Americans). If you arrive by car you should be dropped off on the 1st floor already. Right next tot he bar is the restaurant, with food made to order. These rubber duckies changes for various occasions and are quite the collectible item. I had a tight connection and making it to the FCT was already a stretch, I didn't get a chance to try the shower, cigar room, or the restaurant. I settled for a cocktail from the bar. After 5 minutes my PA came and fetched me: "Mr. Lee, it is time for your flight". I followed him to the other side of the lounge. He called the elevator and when it arrive, he gestured me to go first and I walked in. Once inside, he reached on, pressed the button for the ground floor, and stepped back. As the door closed, I can see him walking down a set of stairs that is facing the elevator. When the elevator door opened, he was waiting for me!. He didn't ride the elevator with me, but instead, walked down the stairs! I guess that is what Lufthansa considers a premium service? Once I exited, my PA walked me to a German police officer who is also acting as the border immigration officer. The police returned my passport, and my PA introduced me to my driver, who taking me to the place. My driver grabbed my bag and walked me out to the waiting Porsche SUV and loaded my bag and I climbed in. Since my flight is parked at a jetway, the driver took me to the bottom of the jetway on the outside, called an elevator, escorted me up, past the normal boarding gate where the agent is collecting boarding passes, down the jetway, and handed me to the waiting flight attendant at the door and bid me farewell. The flight attendant greeted me and escorted me upstairs to the first class section of the 747 and to my seat. Lufthansa First Class on the 747. Yup. Separate seat and bed. Soon after takeoff the meal service started. I'll let the pictures speak for itself. As this point I was so full I had to skip the dessert course, which is a chocolate cake (!!!). I will say that the one down side of this configuration is that the TV screen is aligned with the seat. While it turns, watching it from the bed is awkward because you still have to turn your head, and the screen is pretty low compared to the height of the bed. After a nice sleep I woke up to the breakfast service. Once again I'll let the pictures speak for itself. I'm probably missing some pictures at the point. Both the First Class Terminal and the 747 First Class are fantastic products by themselves, but when you pair the two together it is a really fantastic combination. This was one of the most memorable flights I've done up to this point. Unfortunately, to redeem this with United miles will cost you a lot more miles after the devaluation, and on top of that Lufthansa only release first class seats to partners less than 2 weeks before the flight. This make it much harder to try this using points and miles. I was lucky to sneak this one in when I had the chance.